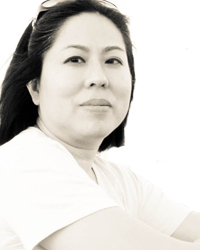 First, open an 8.5×11-inch document in your image-editing software. Create a circle with a diameter of 3 inches. To do this, click the Custom Shape Tool in your Tools Palette. When the drop-down menu pops out, select the Ellipse Tool. 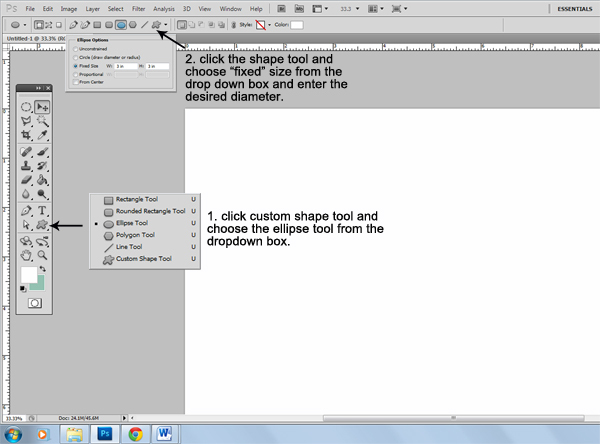 Then click on the Custom Shape Tool at top of your workspace. Another drop-down menu will appear. Choose “Fixed Size” and enter the desired diameter of your circle. I used the following dimensions: width – 3 inches; height: 3 inches. 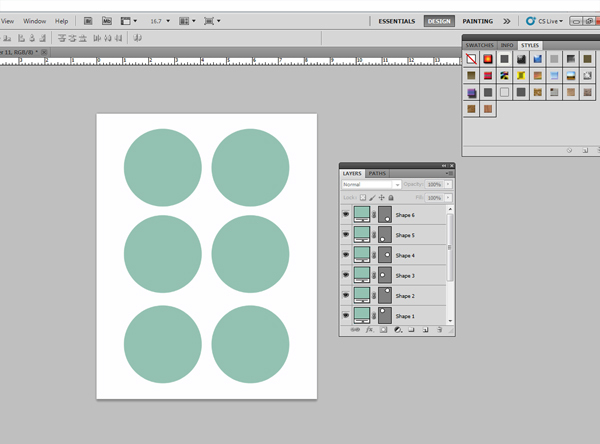 On a new layer, click anywhere on your workspace and you’ll get a perfect circle. Do this for as many circles as you need. Just remember to stamp each circle on its own layer because we will be clipping a different paper to each circle later. I was able to fit six circles of my chosen dimensions in an 8.5×11-inch document. 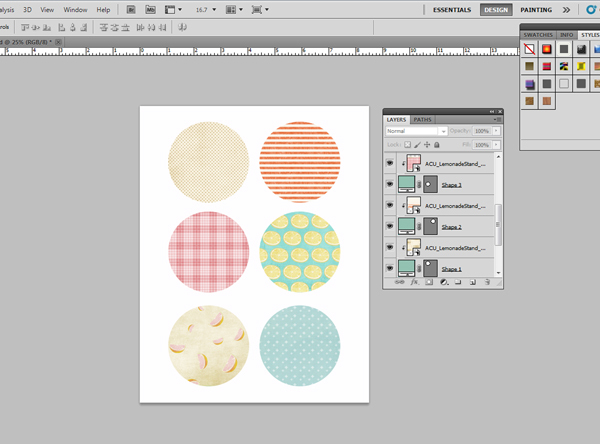 Now you can clip your favorite digital papers onto the circles using a clipping mask. I chose some papers from the Lemonade Stand Collection. Position your chosen paper directly above the circle shape in your Layers Palette and hit Ctrl+Alt+G for Photoshop or Ctrl+G for Photoshop Elements. Now your paper has taken the shape of the circle. Move or resize your paper as needed to show off paper details that you like. Repeat this step for the other circles. If you want, you can further embellish the circles, but essentially, you are done. Save and name your file. 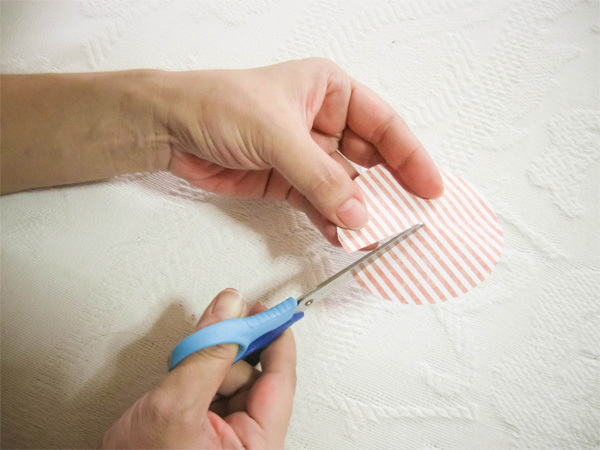 Print the sheet using plain white paper and cut out the circles with scissors. 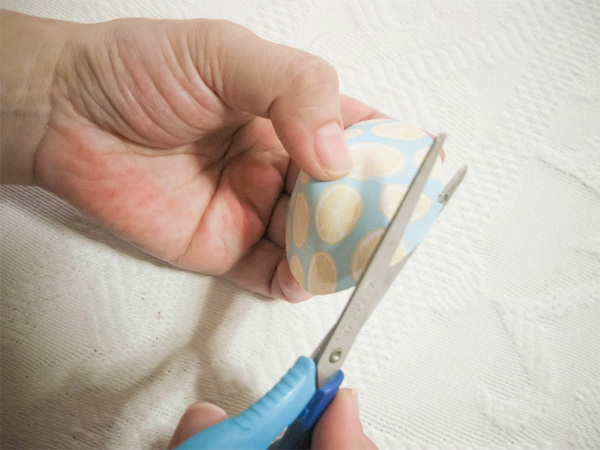 You can also use pinking shears to give the circles a decorative edge. Now let’s assemble the parasols. First, cut halfway through the circle. 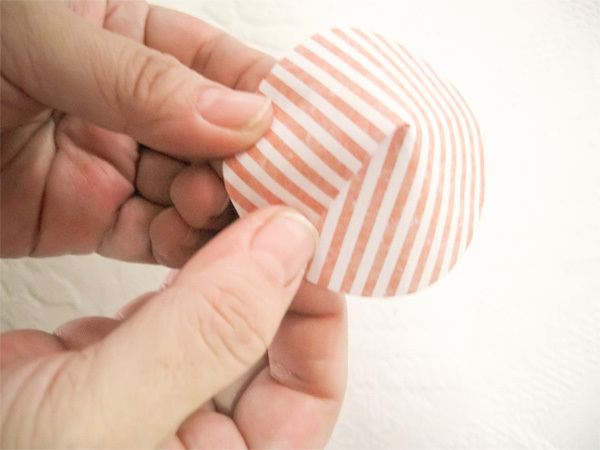 Next, make a cone by overlapping the edges. 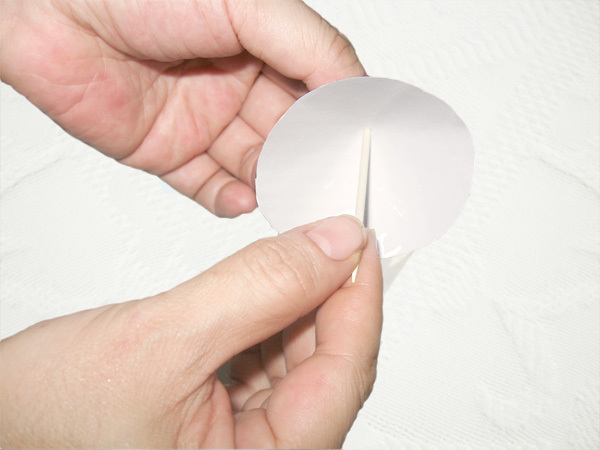 To secure, glue ends together or use sticky tape. Trim away excess paper around the edges. Push a wooden skewer or toothpick through the cone’s point. Don’t push all the way through. You can also dab a bit of glue around the hole to secure the toothpick to the paper. Alternatively, you can wrap a bit of tape around the toothpick just under the cone to keep the cone from slipping down. That’s all there is to it! 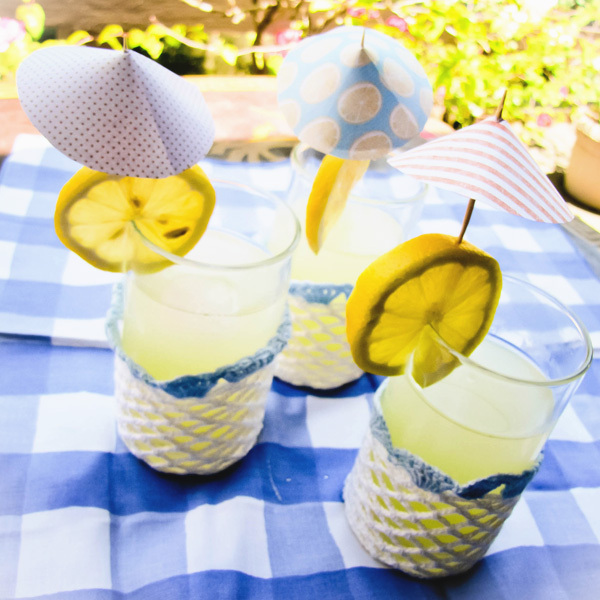 I hope you had fun following this simple tutorial on how to make printable drink parasols. Have a great summer!